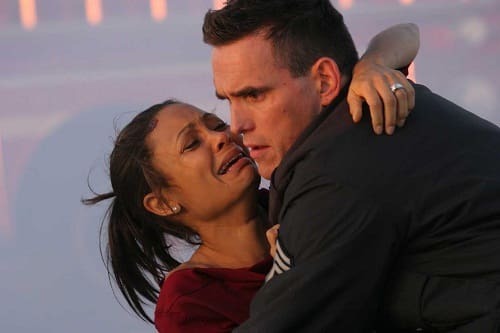 Thandie Newton and Matt Dillon star in Crash. The film upset Brokeback Mountain for Best Picture. Cameron: It's about time you realize what it's like to be black. Christine: Oh, and you're talking about being black? The closest you ever came to being black, Cameron, was watching the Cosby Show. Cameron: Well, at least I didn't watch it with the rest of the equestrian team. Officer Ryan: You think you know who you are? Officer Ryan: You have no idea. Permalink: You think you know who you are? You have no idea.